In fifteenth-century Moorish Spain, Aisha, the descendant of the Sultans of Granada endures a life imperiled by dynastic warfare, loss, and cruel fate. Enemies descend on the kingdom from all sides and threaten to tear it apart. To preserve a fragile peace, Aisha suffers a sham marriage to a cruel tyrant, forever divided from the love that once ruled her heart. 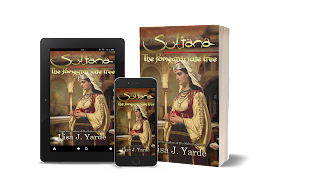 Years later, when a trusted confidante becomes a powerful rival, Aisha must fight for the future of the next generation or witness the destruction of her family and the last vestiges of Moorish rule in Spain.